Listed amongst the most popular Bhimtal attractions, Bhimtal Lake is the largest lake in this town. The picturesque beauty around this lake is a primary reason for a plethora of visitors this town. Basically, the close proximity of this town with Nainital helps visitors to reach here. Bhimtal Lake supports a plethora of aquatic life and some Trans Himalayan birds during the winter season. Situated at an altitude of 4500 feet, 22Km from Nainital, the lake is surrounded by the Kumaon hills all around. This town got its name from Bhima, one of the Pandavas from the epic tale of Mahabharata. Geologists believe that lake was formed by the chain of faults caused by immense movements in the crust of the Earth. According to geologists, the blockade of surface drainage water led to formation of this lake. The area surrounding the Bhimtal Lake features a wide range of animal species such as black Eagle, wall creeper, tawny fish owl, Bulbul, and Emerald Dove. 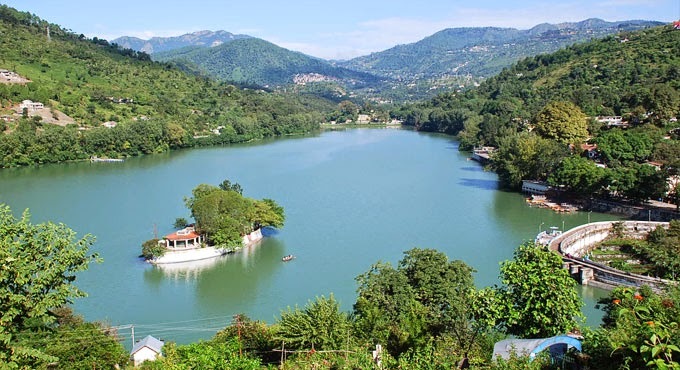 You can make the trip to Bhimtal a memorable experience by taking assistance of professional holiday package providers such as Magic Holidays. The positive aspect of availing its services is that you don’t have to worry about accommodation during your future trips.